Pre-heat a fan-forced oven to 180 degrees Celsius. 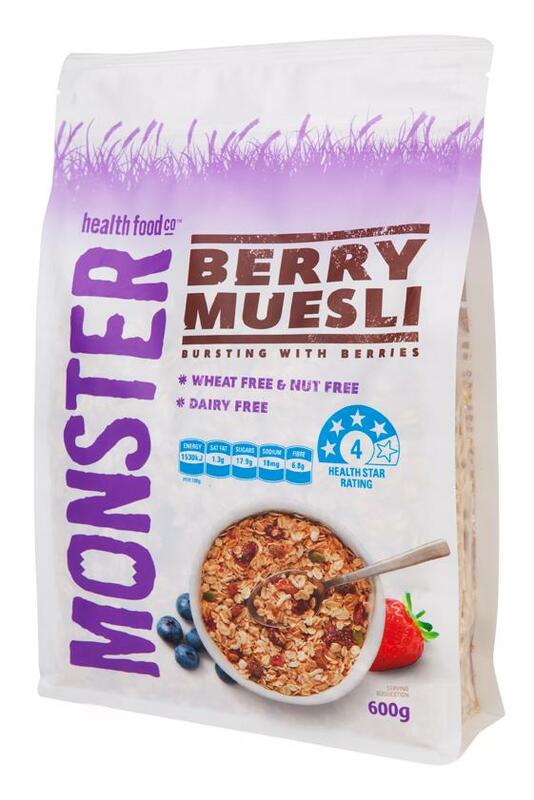 Mix flour, Berry Muesli, sugar, baking powder and baking soda together in a bowl. Mix the egg, milk, vanilla and melted butter together in another bowl. Combine the contents of both mixtures, carefully, and fold in the blueberries. Spoon mixture into a 12 cup muffin tray. Leave to cool on a cooling rack before serving.